New video "Free" from William Cooper! This personally, was one of my favourite songs of the year..
William Cooper's "Free" is the 4th Official Video from his critically acclaimed solo debut "Beware of the Pale Horse". This video is the second part of a two part visual series that began with Cooper's "One Roll of the Dice" video, which are both filmed and directed by Mad Sci for Scientific Lens Media. Producer BP and introduces Stoneface as the newest addition to the Gemstarr Regime Record Label. "Free" visually takes the viewer on a trip into the modern day world where the power of the dollar bill continues to keep the general population prisoner to the system, hence keeping "we the people" from ever truly becoming free. 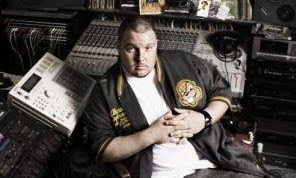 Fresh off two US Tours with his Black Market Militia comrade Killah Priest and also being nominated for Independent Album of the Year at this year's Underground Music Awards; Cooper returned with a re-newed focus on promoting "Beware of the Pale Horse" as the awareness and sales continue to climb. If you have yet to pick up William Cooper's "Beware of the Pale Horse" it can be purchased on I-Tunes, Amazon.com, BestBuy.com,Best Buy stores, and any other store where independent hip-hop albums are being sold.